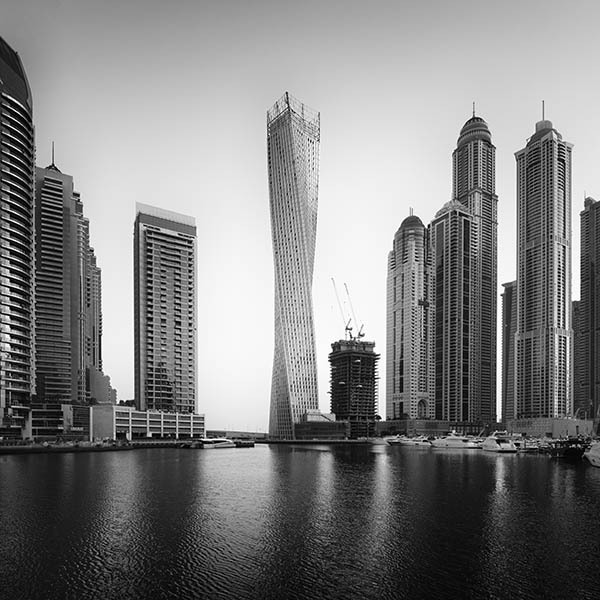 The twisted tower block in the photo is the 80 storey high Cayan Tower located on the Marina in Dubai. It was designed by Skidmore, Owings and Merrill who also designed the Burj Khalifa. This was photographed at dawn - photography after the sun gets up in Dubai in the summer starts to get physically difficult due to the extreme heat.